Pergo XP Vanilla Travertine is a beautifully crafted mottled ivory stone decor. The beveled edges and overall smooth finish enhance the authenticity of this design. With PermaMax surface protection, Pergo XP offers double the wear and double the durability versus ordinary laminates. Installation is quick and easy using the patented Uniclic joint technology providing a secure fit. This product features a limited lifetime residential warranty and 5-year light commercial warranty which guarantees against wear through, staining or fading. Made with materials from North America and Europe. Wear claim compared to standard AC3 laminate flooring and measured in accordance with NALFA/ANSI LF-01-2011 and/or EN13329:2006+A1:2008. California residents: See proposition 65 information. 13.74 sq. ft. per case. Case quantity: 8. Case weight: 25.89 lbs. 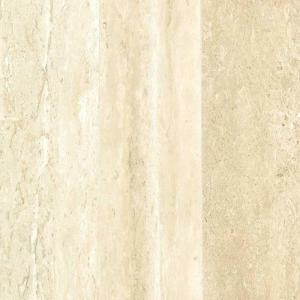 Buy online Pergo XP Vanilla Travertine 10 mm Thick x 5-1/4 in. Wide x 47-1/4 in. Length Laminate Flooring (13.74 sq. ft. / case) LF000855, leave review and share Your friends.